The holidays are a busy time for everyone, and for different reasons. There’s the running around, the parties, the shopping, the taking care of others, the stress, the stress of trying not to stress... How DO we take care of ourselves? Avoiding desserts, extra portions and sticking with our exercise program is a big part of handling the holidays, but it takes dedication and motivation. But how do we stay dedicated and motivated when we’re fighting on so many fronts? And what self-care tactics can we use to continue our eagle-eye focus on body and mind? After all, we want to enjoy the holidays, not merely survive them. Recently, I met two Chicago-based therapists, Michelle Siegman and Lizzie Burke, and began a conversation about this mind/body/spirit connection. Both of their practices focus mostly on women and the issues that many women face. To continue our discussion, they were kind enough to invite me to be a guest on heal chat, a smart, engaging and (with a 15-minute running time), easily digested bi-weekly podcast in which they explore different ways to live a balanced and fulfilling life. Past topics have included how to cope, managing stress, building self esteem and dealing with life’s major transitions. For our conversation, Michelle and Lizzie turned to the mind and the body, and invited me to share some insights from my experiences with personalized, bespoke client relationships at Studio DelCorpo. We talked about motivation and how best to meet fitness and nutrition goals; and how to stay the course, when externals (and internals) threaten to undermine our best laid plans. Small steps, as you’ll hear on the podcast, can have big results. The day’s workout begins the night before. Rather than scrambling to get everything you need for the day the morning of, prep before going to bed. Little things like packing your gym bag, bagging healthy foods, and filling your water bottle can lessen anxiety and minimize stress, making it easy, or easier, to get going the next day. Schedule, Schedule, Schedule. Your health is just as important as the work you do. Maybe more. You can’t deliver if you’re tired, run-down, or just plain sick, right? So put your workouts on the calendar to make sure they happen, when you want them to happen. This is all part of building a structured, self-care and mental health regimen. Getting focused and staying motivated is the key. Lately, I have been encouraging clients to find new ways to recognize and reward fitness and nutrition accomplishments...as a motivation booster. I’m inviting people to have a different relationship with “treats” and “rewards” for all that time spent sweating. (A dessert is not a reward if one’s goals are weight loss.) Saving all of the money that one would normally spend on lavish dinners, and rich desserts to buy a Chanel purse... Now THAT’s a reward, mainly because nothing tastes as good as Chanel feels. Or looks. Michelle: I believe in creating an internal reward because the idea that one always has to look, externally, for positive feedback is a never ending chase. There is a natural high in reaching one's goals. Each endorphin boost leads you to motivation towards your next goal. That's not to say one can't purchase a desired item that they have been eyeing in the window as a "treat" for themselves, but, I believe it should not be connected to a mind or body goal. Be present in the moment, celebrate yourself and your ability to hit various health goals. Really embrace the high you get from feeling amazing about your internal well-being. Whether it is demonstrated by being able to slip back into a certain pair of jeans or lowering one's blood pressure, both will give you a longer term high than a new bag. Lizzie: Sure. I think that many people respond to setting up a reward system for themselves, as it can be very motivating to work towards their primary goal by thinking about the reward (i.e. a vacation if they are able to make X number of sales that year). Just as we set up behavior modification systems for children, for example, when they are learning how to maintain household chores or learn to use the bathroom, we too can benefit from systematically establishing a plan for our future. I encourage many of my clients to create mini rewards along the way as they work up to their larger goal, to help continue their motivation level long term. Slightly different insights from both ladies, but I find that both resonate with me. Want to hear more insights and tips? Check out the podcast that airs this Tuesday, November 28. 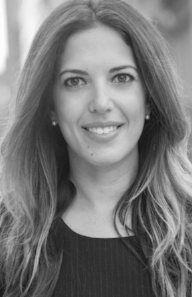 Michelle Siegman has a private practice in downtown Chicago working solely with women (approx. ages 22-55) living with anxiety, depression and/or going through significant life transitions including postpartum, divorce, relationship challenges, parenting and post college into adulthood. She uses an integrative, interactive approach incorporating CBT (Cognitive Behavioral Therapy), DBT (Dialectical Behavioral Therapy), Solution-Focused Therapy, as well as, Psychotherapeutic techniques to ease the pressure of depression, anxiety and life transitions. Elizabeth J. Burke, owner and founder of Empowered Therapy, Inc. is a Licensed Clinical Social worker in the state of Illinois. She holds a Master’s degree in social work from the University of Chicago and a Bachelor’s degree in psychology with a minor in women’s and gender studies from Washington University in St. Louis. In 2011, she received a fellowship for her work in Psychoanalysis from the Chicago Center for Psychoanalysis. Elizabeth has also completed the Gottman Method level I training. In her private practice, she provides a variety of services to women, including relationship counseling, couples counseling, depression therapy and anxiety treatment. Calling all desk jockeys, commuters, hair stylists, athletes, moms, and mobile phone users! Is neck tension getting you down? Interested in growing one inch taller? Wondering where your rhomboids are? Then this special class is for you! In POSTURE 101 class, trainer Shannon Kelly will educate and train you on correct "neutral" posture, and show you where your small posture muscles are, and how to train them properly with little or no equipment at all. Shannon will also provide functional tips for moving in everyday life: how to sit, how to stand, how to look at your phone, and most importantly, how to use your deep abs (your body's natural corset) in everything you do. All levels are welcome! Spaces are limited, so find a fellow cell phone user and register for class today! Great posture beats big biceps every day!